FAKE Freedom of Information: Police Censorship + Govt Statistical Resurrections = NO Information! 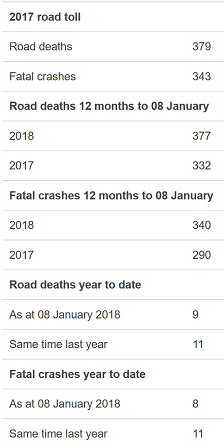 How many people really killed on NZ roads so far this year? At least 30 people have been killed on NZ roads since January 1, 2018; however, only 14 fatalities were reported by police, and five of those victims have already been resurrected by the Resurrection Ministry. See Image 2. 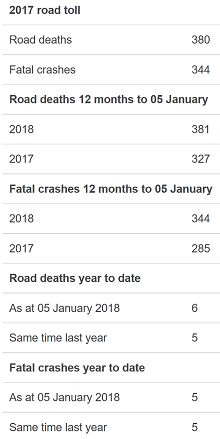 For a list of 14 road fatalities, as reported by police since Jan 1, 2018, click Diseased New Zealand. Interested in real data, or fake news? Additionally, about 16,000 people were injured in road crashes including at least 3,000 people who sustained serious to life-threatening injuries. Of an estimated 3,000 people who have received near-fatal, critical, or very serious injuries on New Zealand roads in 2017, less than a handful perished from their injuries, according to NZ police reports, or lack thereof. WTF: No one drove a car, bus, tractor, truck… or rode a motorcycle, bike… anywhere in NZ today!